A friend of mine found Angel on the side of a highway. Angel's hair was matted and dirty. She looked like she'd been on her own for weeks; maybe months. She took Angel home, fed her, cut her hair and gave her a bath but didn't know what to do with her. Because my friend already had pets and the terms of her lease prevented her from keeping Angel, I offered to keep the dog until she found her a permanent home. I immediately fell in love with Angel's quiet loving nature. Within a week I made the decision to keep her. Fast forward two and a half years, Angel is now a permanent fixture in my family; I can't image life without her. She has brought my daughter and I tremendous joy. I love, love, love her! Daisy May (pictured below) I adopted last year. My daughter and I went to Petco one Saturday to buy Angel dog food. Big mistake because they were having an adoption fair! I left my daugther with the kittens while I shopped. She saw Daisy May and that was it. For days, all she could talk about was the kitten at the adoption fair. I adopted her two weeks later as a birthday present for my daughter. 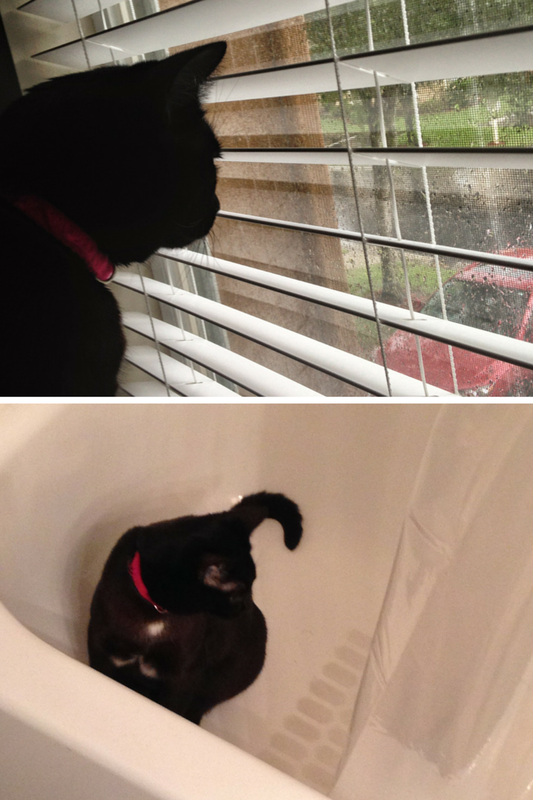 Daisy May loves sitting in the bathtub, looking out the window and cuddling. 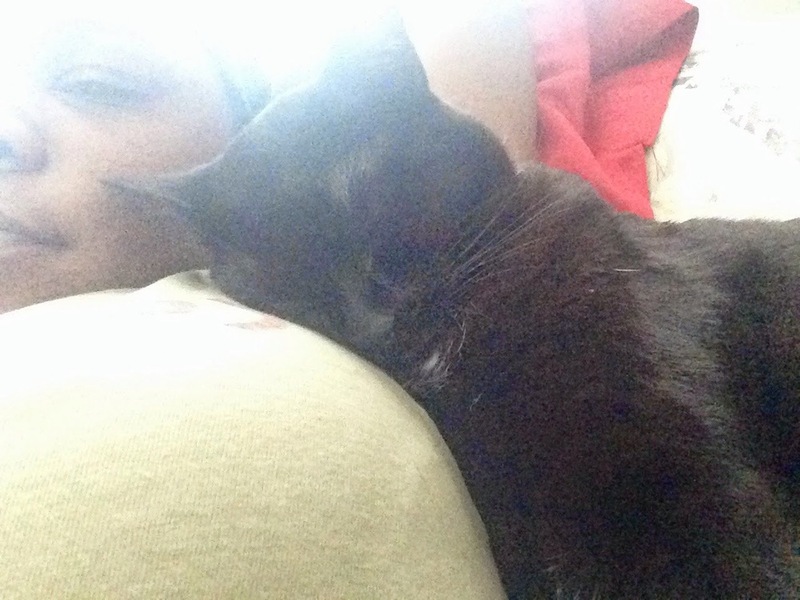 She's the best cuddler in the world. Daisy May & Angel get a long very well. We're one big happy family...most of the time. I love them so much. I am thankful to have them as a part of my family.